Vista FD Auxiliary's "Ladies Night Out" is tonight! 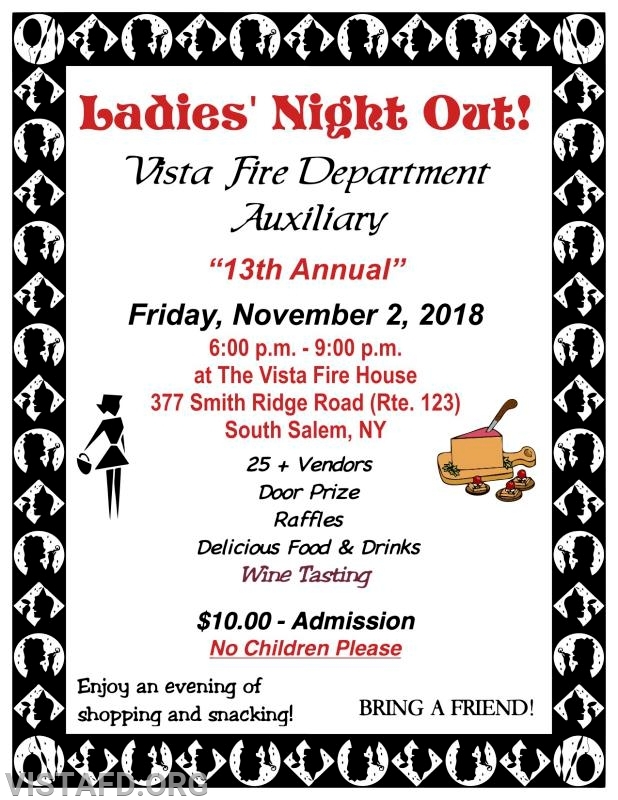 Come to the Vista Firehouse TONIGHT from 6pm - 9pm as our Vista FD Auxiliary hosts their 13th Annual "Ladies Night Out!" Over 25+ vendors, wine tasting and so much more all for $10.00! All proceeds support the great people at the Vista FD Auxiliary!